3 Bedrooms, 2 Bathrooms, Sleeps 2-6 Baths remodld w/Marble, Granite, Toto Bidet! Welcome to the Cocoa Beach Club. Located in Cocoa Beach, Florida, the home of ''I Dream of Jeannie'' and within sight of the launches at the Kennedy Space Center, Cape Canaveral. 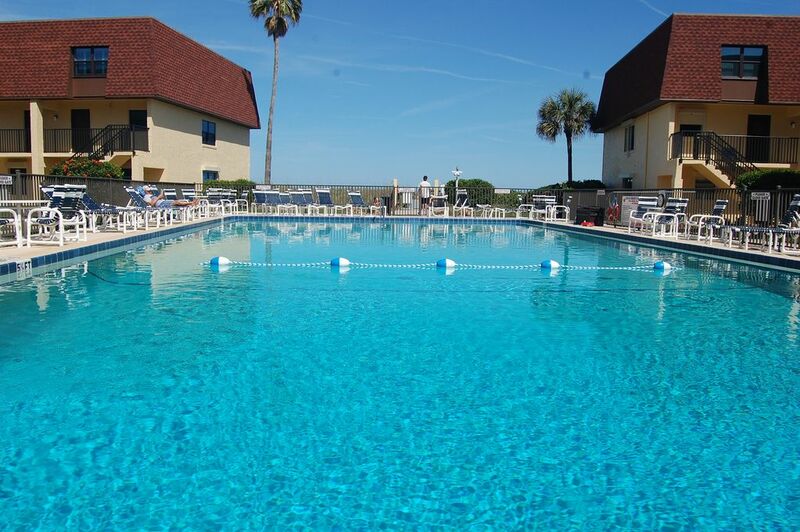 Our unit is in a direct oceanfront complex on the beach and with a large heated pool. Our home is fully furnished and close to everything. 3 miles from Port Canaveral, you can cruise out of Port Canaveral and use the condo as your pre and post-cruise vacation base. You can always choose to sit on the Club's own private boardwalk, or on the beach. This Condo : has a great living room, dining room, kitchen and generous closet space. Full size washer and dryer inside the unit! Bathrooms recently remodeled in marble, granite and a Toto bidet with remote in the master! Local attractions:: Kennedy Space Center, Disney World, Epcot Center, MGM Studios, Disney's Animal Kingdom, Sea World, Ron Jon Surf Shop, Patrick Air Force Base, Cape Canaveral, Merritt Island Bird and Wildlife Sanctuary, Port Canaveral-- Disney Cruise line, Royal Caribbean Cruise line, Carnival Cruise line, deep sea fishing and gambling ships -- all 3-4 miles away! The famous Ron Jon Surf Shop is also within walking distance. Smoking permitted on patio but not inside the unit. This condo was perfect for our family. We have four kids ranging in ages from 17 to 10. We were steps from the beach and the pool. The condo was clean and had everything we need to enjoy our stay. The condo was recently remodeled and our friends who were staying in other condos commented on how nice our condo was in comparison. We we would come back in a heart beat. I wish we could see the water but being so close to the beach made up for not being able to see the water. Great location. Very nice unit. Property well maintained with huge pool. Very happy with my choice! Very well maintained and updated condo, probably best in cocoa beach club. Location is perfect, closest to the beach of any of the condos. Our family loves cocoa beach and has been coming for many years. GREAT location, everything you needed was there, very clean and great communication with owner. Would definitely book again. Very nice and well kept Condo. Right by the beach and close to everything. We really enjoyed our stay and would recommend it to anyone looking to spend vacation at the beach. The location was just what I wanted. On the beach. Condo was Spacoius, and Clean. Beautifully appointed Kitchen, Baths Bed rooms Nicely decorated. The Silk Plants were out dated and Dusty. Could have used more light in the Bedrooms. We were close to the Pier, shopping and restaraunts. Very convenient. would concider renting again. The property is located only about 1000 feet from the world-renowned Cocoa Beach Pier, and is on floor 1 of 2.